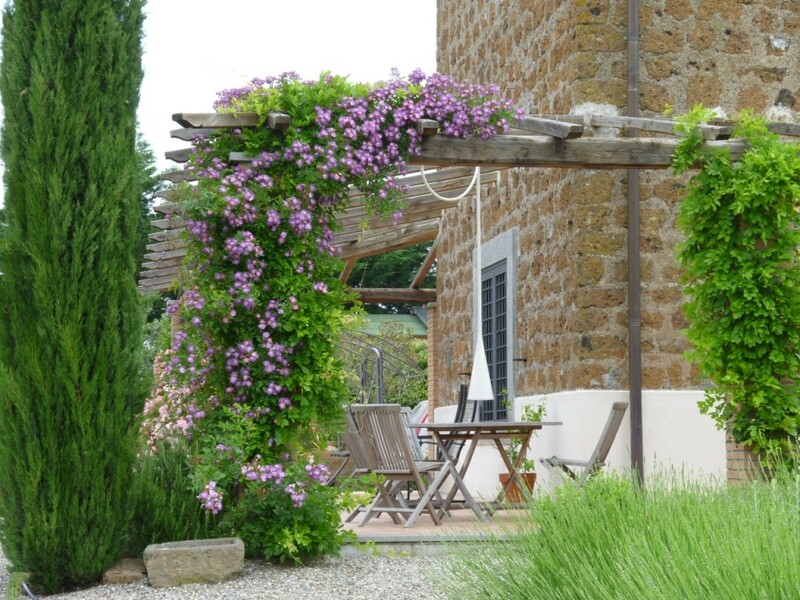 Have a look at these climbing plants for the pergola in your garden. These plants and arbors can be easily grown in small gardens too. 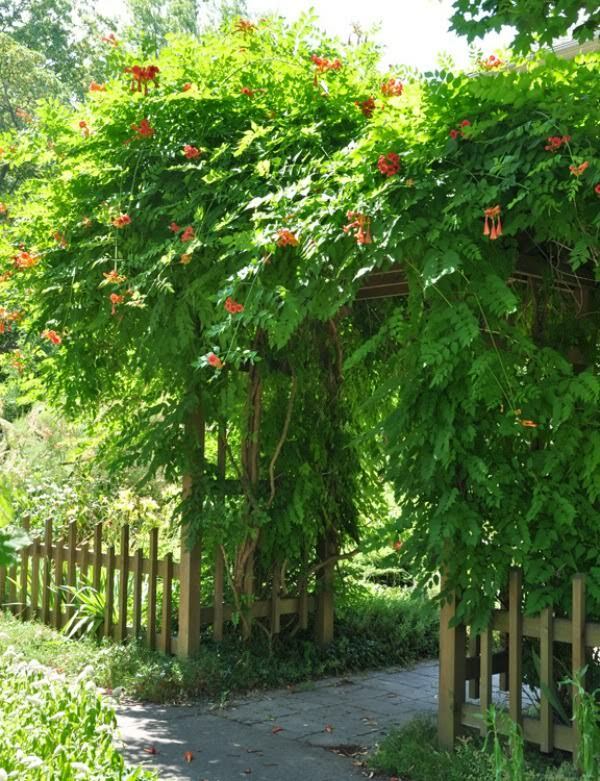 There are many climbing plants and with pruning and tying, these can be made to grow over a pergola to get welcome shade in warm weather. 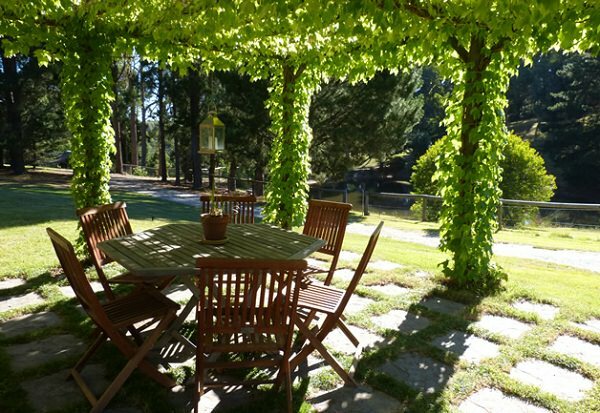 To help you, we have listed the best pergola plants for you and is a combination of varieties that are both for tropical as well as temperate climates. Roses are classic. They are the favorite plants of most gardeners as they produce a feeling of being special, have tranquility, nostalgia, romance, and happiness. 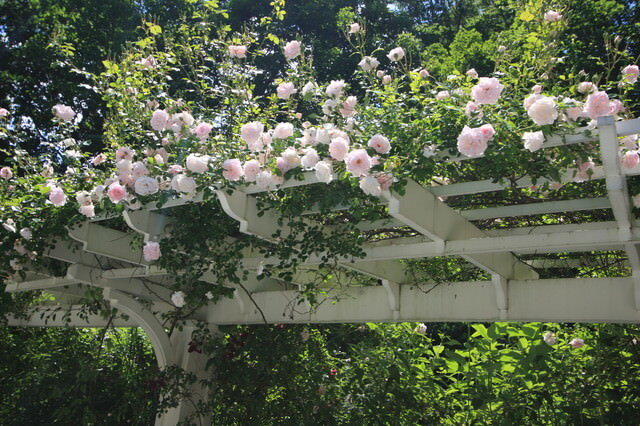 Climbing varieties are perfect to cover a pergola and arches. The fragrance of honeysuckle flowers is nostalgic and increases at dusk, has more than 180 different species, and almost all are creepers. 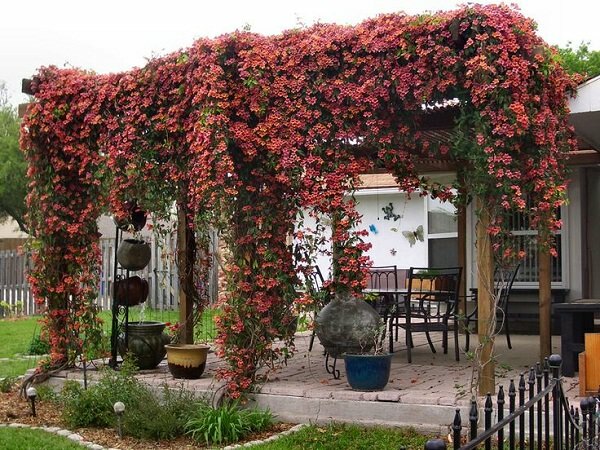 It is a very large vine that grows rapidly, a single honeysuckle plant can cover up a big sturdy pergola easily. Passion flower is a beautiful fast growing, hardy perennial from the tropics. The heady fragrance, colorful flowers, and edible fruits make it one of most desirable climbing plant you can have in your garden. You can also grow it on your balcony, rooftop or patio garden. 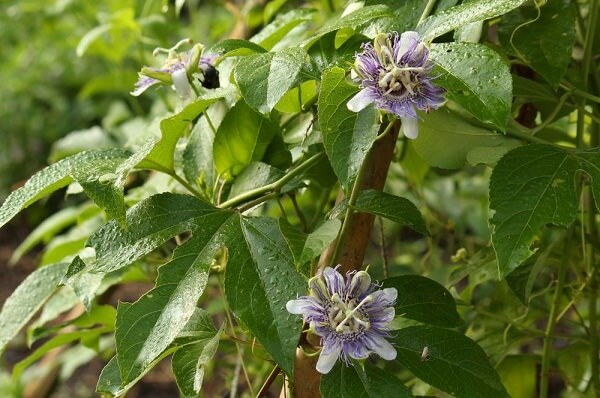 Growing passion flower is easy if you live in a subtropical or tropical climate. If you live in a temperate region then look for its cold hardy cultivars. In very cool climate it grows as an annual. Surely, jasmine is the most intense flower. Its fragrance can be smelt from far-far away. So if you love fragrant plants, grow it. In warm and humid climates jasmine blooms all the year round. In cooler zones, it grows as an annual. 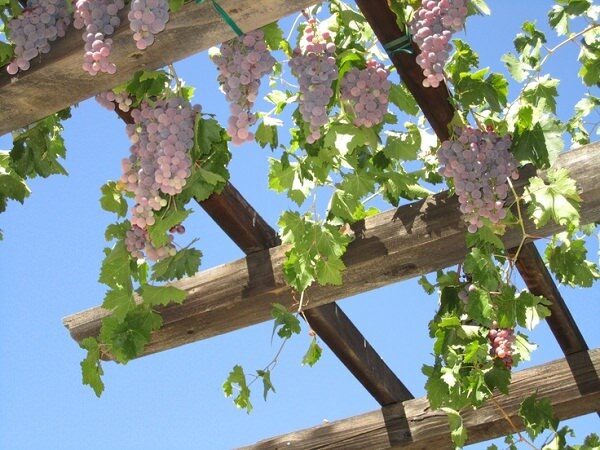 Truly one of the best climbing plants for pergolas, grape vines will not only give shade and a warm sitting place but juicy grapes too. You can grow this in a variety of climates. Grapevine varieties are native to Mediterranean, Central Asia, America and South West Asia, thus cultivars available diversely. Lavender blue color of wisteria flowers and the sweet fragrance is fascinating. However, wisteria is an aggressive grower but it takes the time to establish. You can grow wisteria in temperate and subtropical regions . 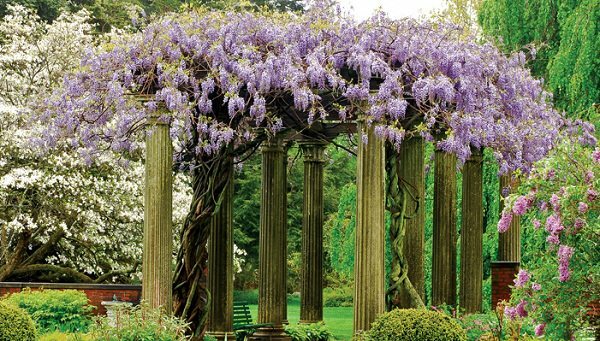 If you have a large sturdy pergola grow wisteria on it, you’ll need to prune regularly to control its growth. Due to its showy trumpet-shaped flowers, this is called a trumpet vine. Each of trumpet vine’s flowers can appear in different colors (orange, yellow or red). The flowers attract pollinators: bees, and hummingbirds. 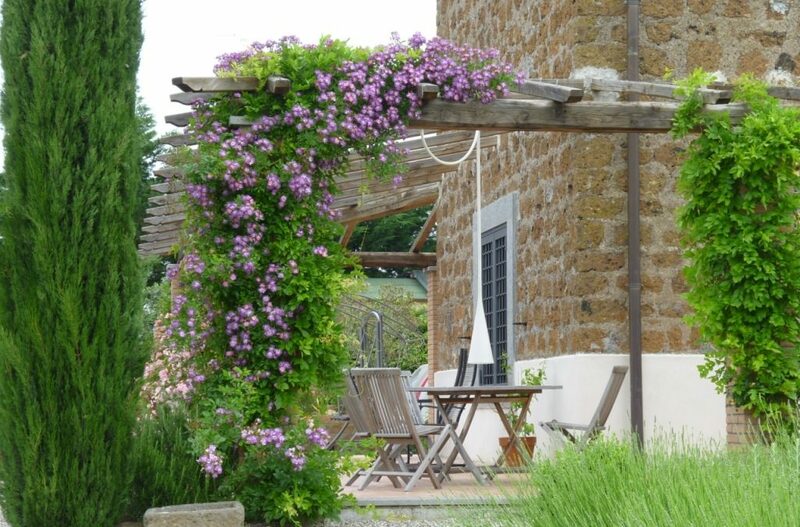 This plant looks great on the arches, pergolas, and trellises. It grows best in full sun to part sun. Another beautiful climber, related to trumpet vine. 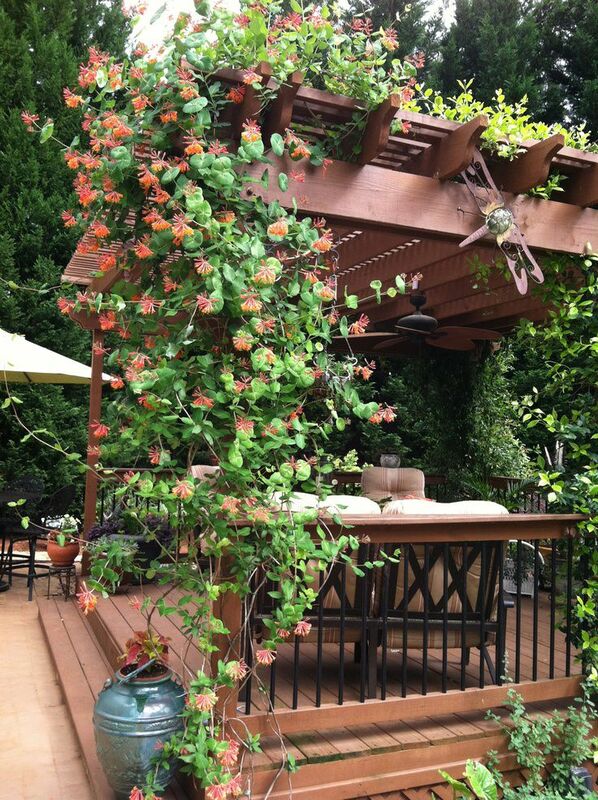 Its delicate bell-shaped flowers look great on pergolas. It is a fairly vigorous plant and tolerates mild to moderate frost. You can also try growing it in tropics in shade from afternoon sun. 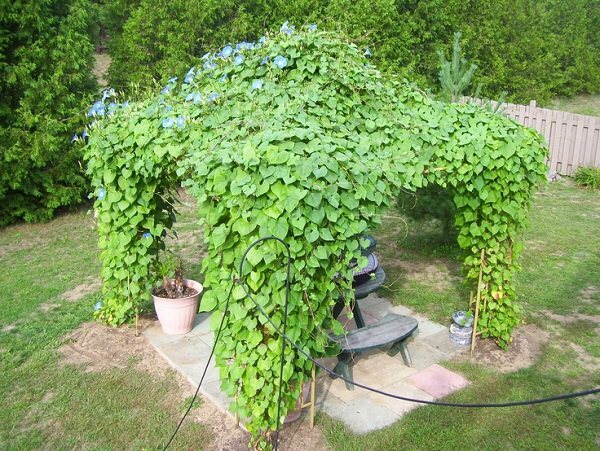 For arbors, pergolas, and gazebos situated in shade, ivy is best. It is low maintenance and tolerates the exploits of weather and provides lush green color. You can also choose variegated varieties. 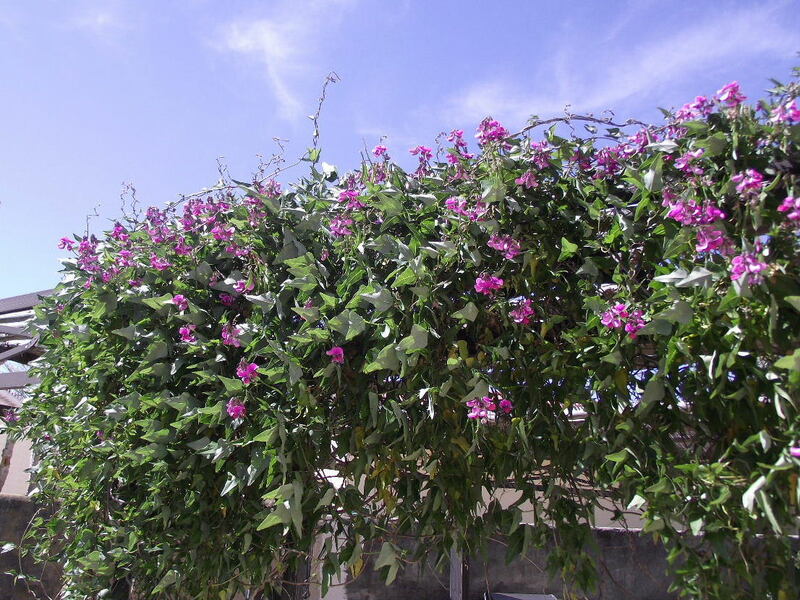 The climbing varieties of bougainvillea are suitable for pergolas. This plant loves the sunny position and does not like wet feet. Among the most frequently cultivated colors are pink, red, yellow and purple but it comes in many other colors too. A vine that greets the morning sun with its pretty blooms. Morning glory vine is fairly easy to grow and it perks up quickly. 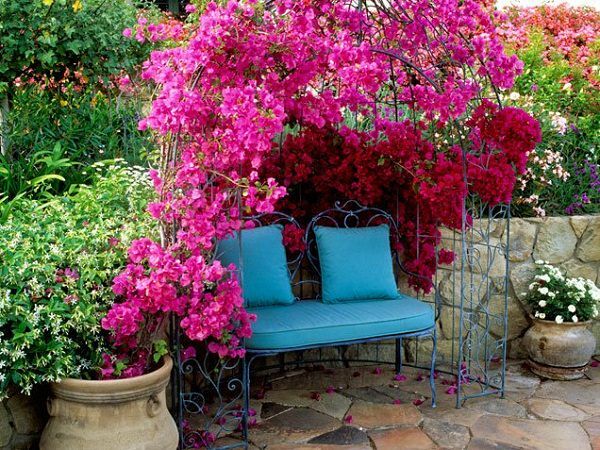 A good plant to cover up a pergola that is in a sunny position. 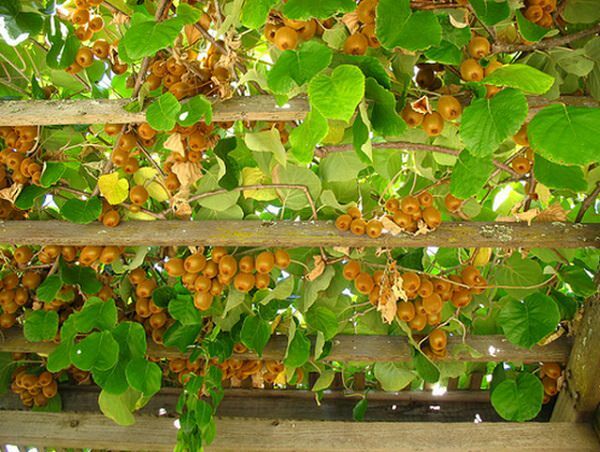 A kiwi vine takes a lot of space to grow which is why it is one of the best pergola plants in our list. In order to get fruits from the kiwi plant, you’ll need to have both male and female plants for pollination. 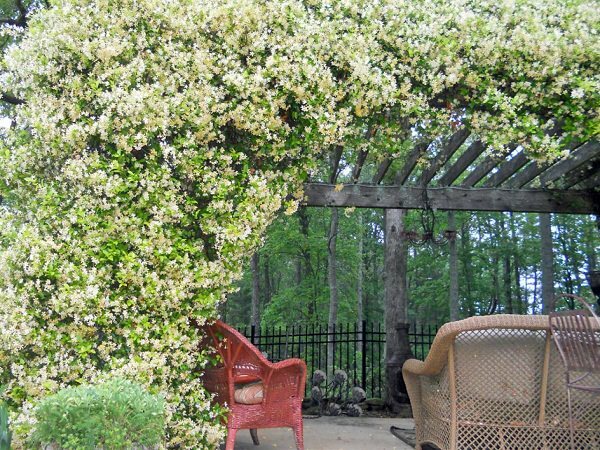 Don’t grow bush type varieties if you are growing it over the pergola. Plant sweet peas in the sun and in a well-drained soil. Grow sweet peas in warm zones in fall and winter. In temperate areas plant this fragrant vine in spring or summer. 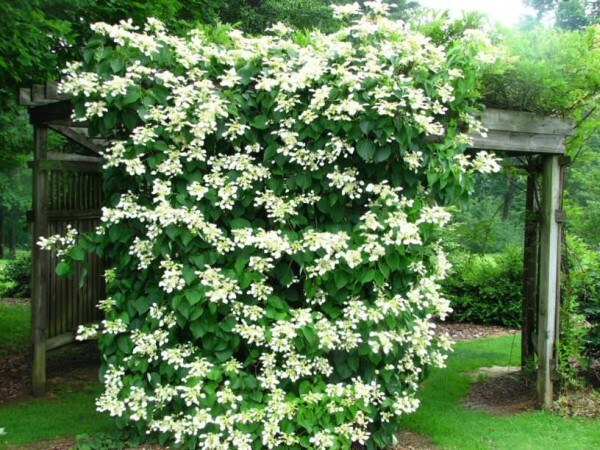 Growing climbing hydrangea vine is rewarding due to its glossy heart-shaped foliage and fragrant white flowers that appear in clusters in spring to summer. It is a slow grower and requires training and pruning.